Cell phones can be very disruptive to our environment. Please refrain from using your cell phone inside the salon/spa, and please show courtesy to our other guest by remembering to silence your phone while you are here. 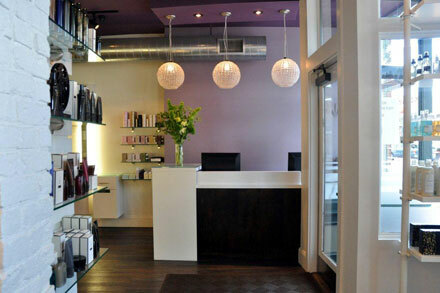 Please arrive 15 minutes before your salon/spa treatments to ensure full service and enjoyment of your spa service. We ask that you kindly give 24 hours cancellation notice or a service charge will be issued. We require 48 hour notice for services totaling 2 hours. A credit card number is required to book all spa services $60 or more. Gift certificates may be redeemed for product as well as services, have a seven year expiration date and are non-refundable.